Charging solutions represent a significant part of the electronics accessories market. Cables, charging stations, external batteries and the like offer faster charging or extra juice on the go, but companies only recently began using magnets to give devices an invisible lifeline. 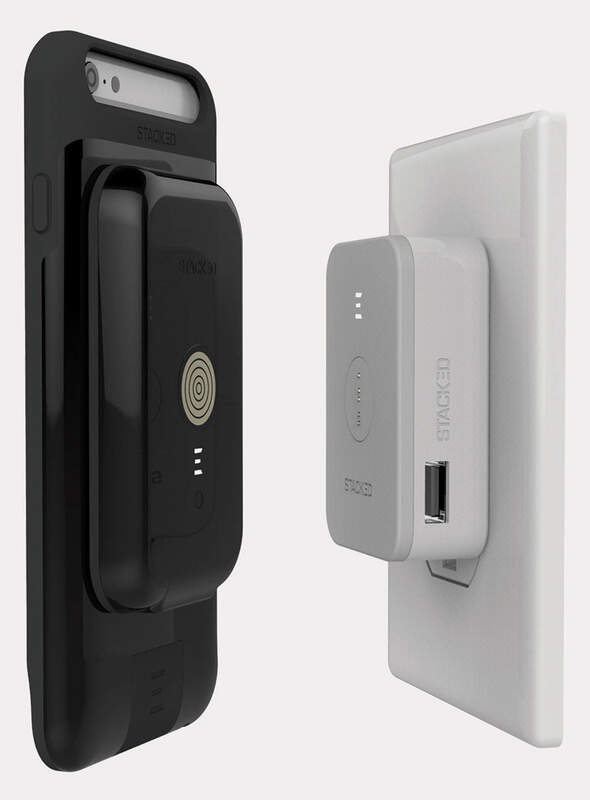 Another device, called PowerGo-Go and featured by Cult of Mac in October, offered a similar system but failed to meet its crowd-funding goal. STACK PACK became available for sale Thursday and is ready to relieve the iPhone user’s mind of cord-management woes. When the battery reads red, a STACK PACK power pack can keep your iPhone online. For starters, there is no hint of a cord in the startup company’s name, which happens to be STACKED. It starts with a plug-in charging base. 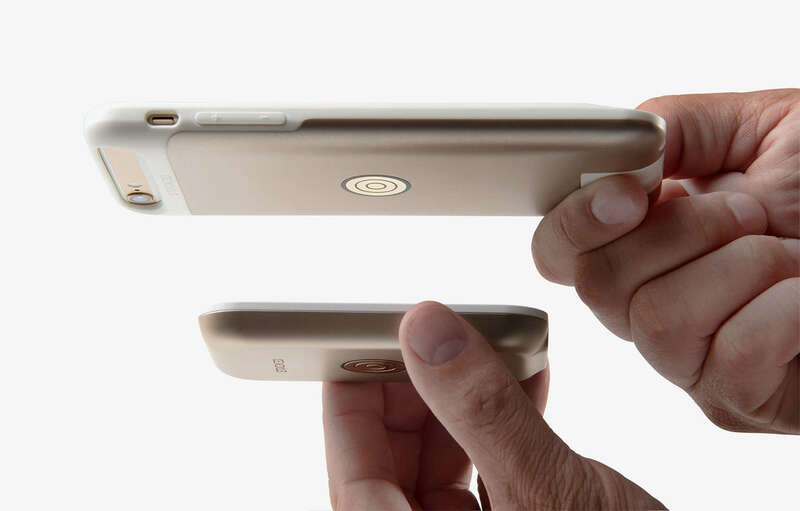 A case for your iPhone 6/6s or 6 Plus/6s Plus magnetically secures to the base for charging. The STACKED ecosystem also includes a magnetic battery that attaches to the case when power starts to run dry. Charge everything at once, including the iPhone and extra battery. Up to four batteries can be stacked together on the plug-in base. Cutting the cord won’t come cheap. The STACK PACK is for sale on the company website one piece at a time. The case for the 6 and 6 Plus models run $129. 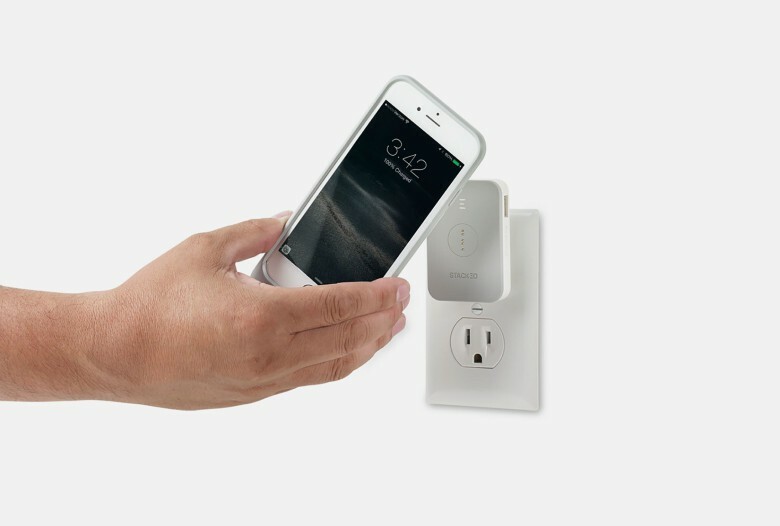 The AC wall plug is $29 and external batteries, or power packs, cost $58.